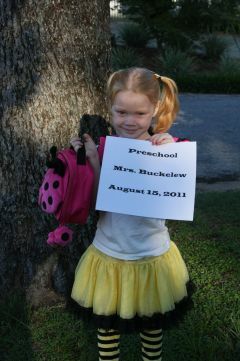 Chloe had her first day of preschool at the elementary school today. Doesn't she look bee-utifull? 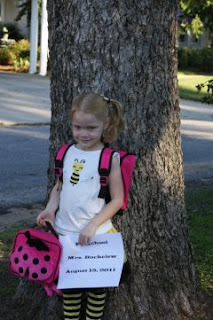 She had a great day and told me she never wanted another teacher because she liked Mrs. Buckelew a whole bunch.